Visitors are able to attend a single meeting by purchasing a guest pass for $25 online or $30 at the door (Cash, VISA, MasterCard). What are Current Available Financing Parameters? What Legal Ownership Structure (qualifying for financing)? 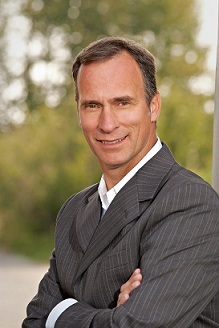 Pierre-Paul is Canada’s leading authority and insider when it comes to investing in apartment buildings because of his unique perspective on this type of investment. He is a former CMHC multi-family underwriter and a full time multi-family investor with a portfolio of 160 doors valued in excess of $22M. As a former CMHC apartment building underwriter, he has analyzed hundreds of apartment deals in three provinces and three territories. He has analyzed more apartment buildings than most of the largest landlords in the country. Not only is he familiar with the front end of buying apartment buildings, but also he is also very knowledgeable with the back-end of this business, that is when apartment deals go sour and investors default on their loan as he also managed the default management department in CMHC’s Prairie office. This wealth of knowledge and experience enables Pierre-Paul to invest in apartments buildings strategically to ensure a sound return for his investors with low risks. Pierre-Paul has won numerous awards, including multi-family investor of the year and top player of the year with the Real Estate Investment Network (REIN). Service Provider of the Year (2012) by CREW for his multifamily training program.